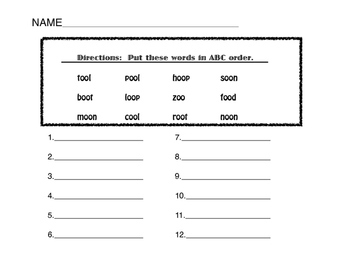 This is a bundle of activities that focuses on the long oo sound only spelled with the oo. 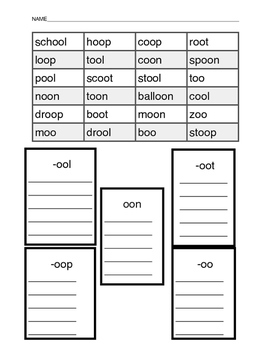 This bundle includes a small and whole group sort activity, a written sort activity and a read and the room activity. I have included a few challenge words with oo to differentiate. 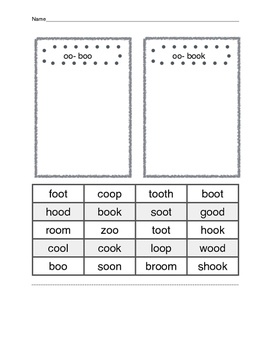 I just added a long and short oo sort to practice reading both sounds.